At any given time, today’s real estate professionals may be working with four generations of real estate buyers: Millennials, Generation X, the Baby Boomers, and Matures. 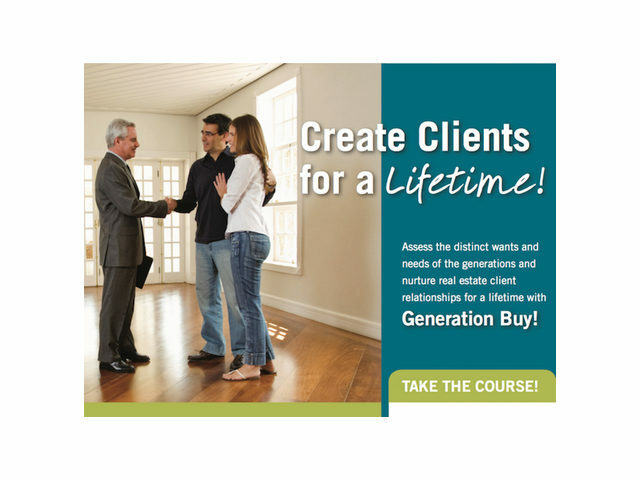 This one-day course examines the home buying characteristics of these generations and evaluates their expectations (of agents and of the transaction) as well as communication preferences. As a turnkey resource, participants receive generation-specific marketing tools, networking tips, scripts, and counseling strategies to help formalize agency relationships.